Goa, Bambolim. Knockout flavours of the north come to the west coast of India. Savour the taste of true Punjabi cuisine as Chulha celebrates a cuisine crafted from the rich heritage of Punjab. 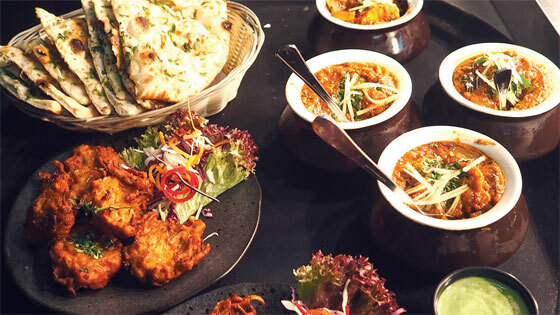 Infinite fusion of flavours and colours from the land of five rivers, the Punjabi Food Festival is a part of Chulha’s Food Trail series that celebrates cuisines from different regions of the country. Discover a range of inspiring family recipes and the forgotten flavours of the North while you enjoy iconic favourites and tandoor items. Sourced with the freshest ingredients and prepared with authentic Punjabi tadka, the menu features Ajwaini Pomfret, Butter Chicken Masala, Sarson Da Saag, Amritsari Chole paired with Tandoori Parathas and Kesar di Jalebi among other Punjabi treats. Chulha, that aims at serving the best of North Indian cuisine, is Grand Hyatt Goa’s iconic Indian restaurant, which has a warm, colonial architecture, all accented by authentic rural touches. The food is simple, with a selection of tandoor-grilled meats, seafood and vegetables prepared live to perfection, and served in clay pots and copper pans, evoking the ambience of a rural setting. The menu features authentic Indian and signature dishes from all its states. Other features include an exhibition kitchen for guests to interact one-on-one with our chefs for a truly interactive experience.